Point2 Homes gives you far more than a simple list of houses for sale. Get instant access to a lot of relevant information about West Edmonton, Edmonton, AB real estate, including property descriptions, virtual tours, maps and photos. The search results pages also have a wealth of information on West Edmonton, Edmonton, AB, if you scroll all the way down. 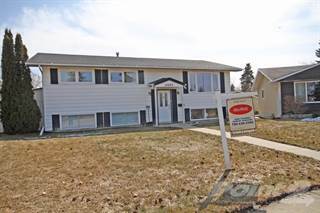 There are 530 houses for sale in West Edmonton, Edmonton, AB. 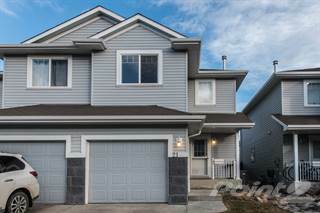 Searching homes for sale in West Edmonton, Edmonton, AB has never been more convenient. 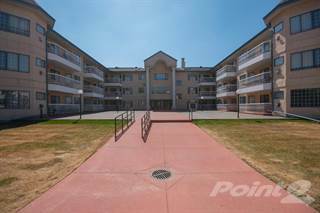 With Point2 Homes, you can easily browse through West Edmonton, Edmonton, AB single family homes for sale, townhomes, condos and commercial properties, and quickly get a general perspective of the real estate prices. Also, you’ll never miss a bargain if you filter listings based on house price drops in the past six months. Use the map view to find West Edmonton, Edmonton, AB homes and apartments for sale, based on amenities or city features that you may want close by. You can close in on a specific neighbourhood or area by simply drawing around them with the polygon or radius tools. Stay informed about the latest entries on the real estate market by saving your searches. This way, you get new listings in your inbox, daily or every week, based on your preferences. If you’d like to get in touch with a professional, agents are displayed next to their listings, and they’re easy to contact through the online forms. If you want more options, you can click the Tools tab and Find an Agent, and you’ll get a list of helpful and knowledgeable real estate agents in West Edmonton, Edmonton, AB. Visit the Point2 Homes blog and you can find up to date expert advice on many markets throughout Canada, regular market reports, neighbourhood scoops in cities throughout the provinces, real estate deals and useful recommendations. Made up of a number of smaller neighbourhoods, West Edmonton has something for everyone, with parks, a large mall, restaurants, a zoo, golf courses, and recreation facilities available. Residents can take advantage of the numerous public transit routes that run through the area, or use the major roadways in the neighbourhood to get around. Larger, more expensive homes and lots provide a suburban lifestyle close to the outskirts of the city. Located in the western section of the city, West Edmonton extends from 231st Street in the west to the North Saskatchewan River in the east, and from 111th Avenue NW in the north to 33rd Avenue SW in the south. Distinct, smaller neighbourhoods within West Edmonton provide a sense of community for residents, while the proximity of these smaller neighbourhoods allows for easy access to amenities. The neighbourhood is family-friendly and recreation-oriented. The West Edmonton Mall is located in the neighbourhood and is the largest shopping mall in North America. Over 800 stores employ more than 24,000 people, and more than 30 million people visit the mall each year. Retailers include men’s, women’s, and children’s clothing; accessories; footwear; home décor; gifts; department stores; health and beauty; specialty foods; hobbies and toys; electronics; art and framing; books and stationery; sporting goods; pets; and bridal wear. Besides the retail stores, the mall also offers services and restaurants. Attractions at the mall include the world’s largest indoor amusement park, a large indoor water park, a bowling alley, an aquarium, an indoor ice rink, mini golf and golf facilities, and a replica ship. Also in the neighbourhood is the Edmonton Valley Zoo, which is home to over 350 animals, including varieties of frogs, birds, lizards, snakes, and mammals like wolves, elephants, tigers, monkeys, zebras, camels, and wallabies. Dining options are scattered throughout West Edmonton. Vivo Ristorante on Lessard Road NW offers authentic traditionalal Italian fare such as pasta, meats, and salads. An open cooking area allows customers to watch the chefs at work as they prepare the hearty and colourful meals. Hap’s Hungry House, located on Stony Plain Road NW, is a popular spot for diner food like breakfast specials, burgers, sandwiches, chicken fingers, and soups. Customers can get breakfast any time of the day at the comfortable, homey location. Guru Fine Indian Cuisine on 100th Avenue NW provides modern twists on traditional Indian fare such as butter chicken, samosas, tandoori chicken, and vegetarian dishes. Bright and flavourful meals are served in the restaurant’s soothing atmosphere. Single-family homes make up the majority of real estate in West Edmonton, with some apartments and other dwelling types also available. The average price for single-detached homes in the area is $800,000, which is much higher than the average price for single-detached homes in Alberta overall ($389,943). The population of West Edmonton is 104,415, and this has been growing slightly for the past 10 years. Families make up 21% of the population here, 41% are couples, and 38% are single. The average annual income is $99,023, which is more than the average for the city as a whole, and 57% of residents are university or college educated. West Edmonton is sometimes affected by heavy traffic and industry-related air pollution. Areas near major roadways and busy commercial hubs can experience noise issues at times. West Edmonton’s crime rate is similar to those of nearby neighbourhoods. The most common types of crime in the area are break and enter, assault, theft of a motor vehicle, and theft from a vehicle. Schools in the neighbourhood include Edmonton Christian West School, Westlawn Jr. High School, Youngstown Elementary School, Mayfield Elementary School, Sherwood School, Meadowlark Christian School, Westglen Elementary School, Grovenor School, Coronation School, St. Thomas More Junior High School, St. Vincent Catholic School, Glenora School, Meadowlark Elementary School, Patricia Heights Elementary School, Afton Elementary School, St. Francis Xavier High School, Jasper Place High School, Rio Terrace School, Parkview School, Lymburn School, Ormsby School, Centennial School, and S. Bruce Smith School. Post-secondary institutions in West Edmonton include CDI College (Edmonton West), Alberta Pipe Trades College, Yellowhead Tribal College, MacEwan University, the Northern Alberta Institute of Technology, and Academy of Learning. Numerous Edmonton Transit Service routes run through the neighbourhood, including routes 1, 3, 5, 7, 14, 98, 101, 102, 103, 104, 105, 106, 107, 109, 110, 111, 112, 113, 114, 115, 118, 120, 121, 122, 123, 124, 125, 126, 128, 129, 138, 150, 203, 305, 310, 311, 317, 560, and 561. Some of these are express routes, providing faster, more efficient transportation to other areas of the city. All of these routes allow passengers to access other areas of the city, including Downtown. Park space is found throughout West Edmonton. Callingwood Park in the neighbourhood’s southern section features sports fields, a spray park, a skateboard park, an off-leash dog area, picnic sites, ball diamonds, a pavilion, restroom facilities, and treed areas. Located in the southeastern section along the North Saskatchewan River, Westridge Park has walking trails through forested areas, as well as a wooden staircase that leads to spectacular views of the river. Just north of Westridge Park is Rio Park, which also has walking trails, as well as off-leash dog areas and views of the North Saskatchewan River. Other parks in the neighbourhood include Aldergrove Park, Summerlea Park, Primrose Park, Lymburn Park, and Willowby Park. There are two public libraries in the neighbourhood: the Lois Hole (Callingwood) branch and the Jasper Place branch. Both provide access to amenities such as computers, printers, photocopiers, scanners, Wi-Fi, and study space. Both also provide programming for people of all ages, such as computer classes, storytime, book clubs, and general interest workshops. The Jamie Platz Family YMCA has a fitness area, a swimming pool with lap lanes, squash and racquetball courts, an indoor running/walking track, a yoga studio, a games room, and a gymnasium. Programs offered at the centre include swimming, yoga, fitness, floor hockey, pickleball, dance, soccer, and martial arts. A number of community leagues located in the neighbourhood provide programs and resources for residents. These leagues can be found in the Parkview, Willowby, Callingwood, Aldergrove, Belmead, LaPearle, Elmwood, Jasper Park, Laurier Heights, Grovenor, Mayfield, and High Park areas.